Exercise originally started as a as a necessity for survival, then we realized we needed exercise. We emerged to calisthenics and later we even incorporated sit-ups and push-ups in our grade school curriculum. Today we have advanced to chair dips and chin ups. All of these items are body weight exercises with nothing more than gravity providing the resistance training. Pilates is one of the greatest transformations ever developed in the fitness world. Pilates is a sophisticated system developed by Joseph Pilate in Germany. The essence of Pilates is mindful control of our muscles. Pilates is an effective exercise program that continues to grow in popularity around the world. What makes Pilates so popular is the fact it is effective. Surprisingly we can sculpt our body, control our breathing, and build our stamina. The part that is hard is to remember is the numerous movements. That is where an exercise chart can help. 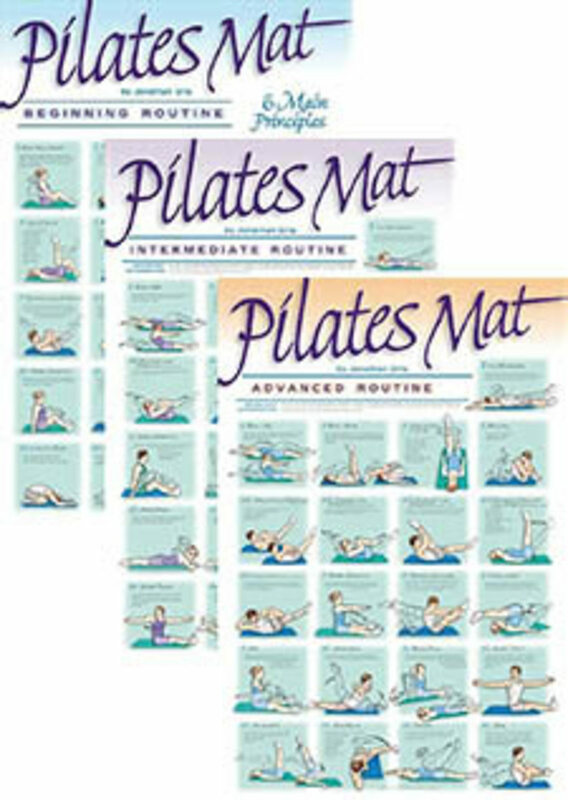 An exercise chart of just Pilates movements can showcase the variety of the many movements. For you see Pilates does provide a full body workout. Perhaps more importantly Pilates can motivate you to change up your fitness routine. 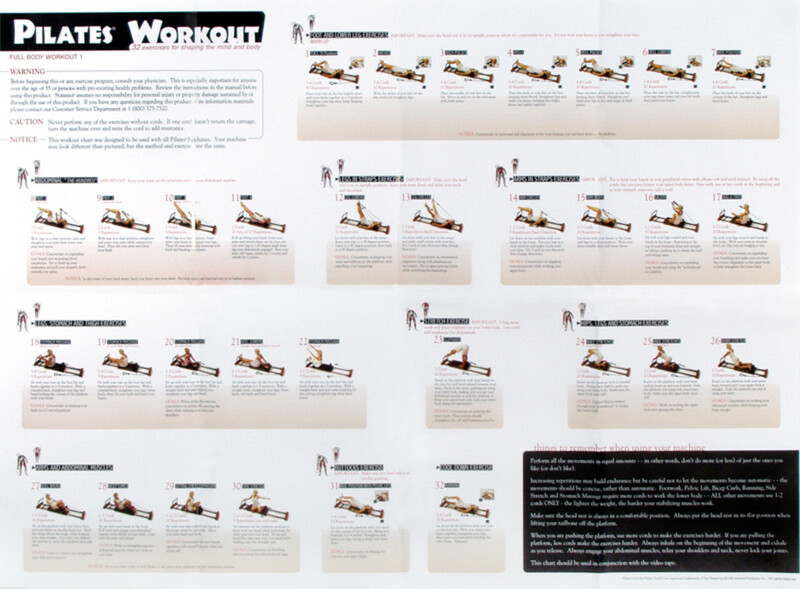 If you are seeking to take your fitness program to the next level, check out these many great exercise posters offering dozens of different toning exercises. Remind yourself how fun and peaceful yoga can be! Full of easy to digest inspirational quotes and smiley faces, stick this on your wall to remind yourself how to smile, relax and remember to "meet yourself" in the pose. Includes 67 important asanas. A great guide for a thorough yoga practice. 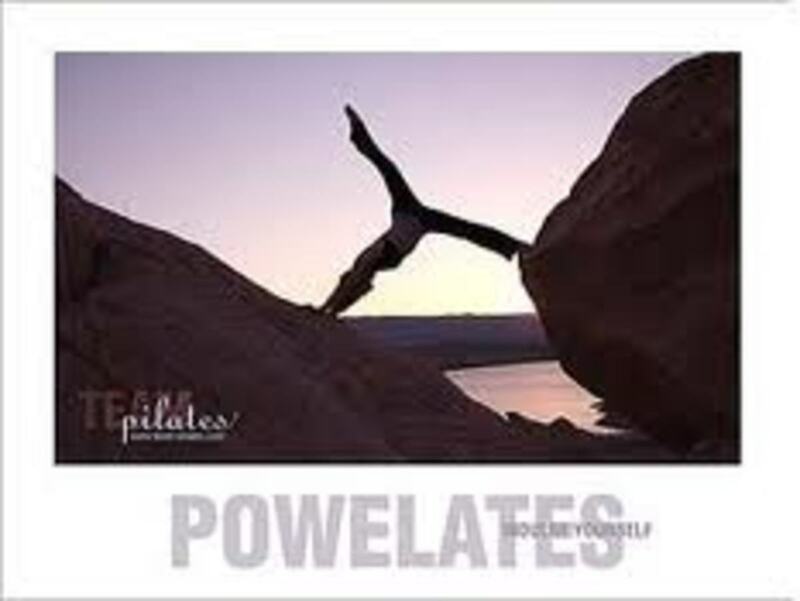 Laminated - $44.40 ($48.84 inc GST)"
The history of Pilates is filled with little known details about the life of Joseph Pilates and his personal drive for physical fitness. Amazingly enough the Pilates Reformer has been around for decades but sadly hasn't shown up in the health clubs until recently. Even today the Reformer seems to be reserved only for the elite health clubs. "Contrology" was Joseph Pilates' preferred name for his method and it is based on the idea of muscle control. "Nothing about the Pilates Method is haphazard. The reason you need to concentrate so thoroughly is so you can be in control of every aspect of every moment." All exercises are done with control with the muscles working to lift against gravity and the resistance of the springs and thereby control the movement of the body and the apparatus. "The Pilates Method teaches you to be in control of your body and not at its mercy." There are 11 million people practicing Pilates and 14,000 instructors. This exercise program was invented by Joseph Pilates and originally was started in Germany expanded to Europe and surrounding countries and then to America around 1925. In the 1980s, a modern adaptation of Pilates was published by Philip Friedman and Gail Eisen, two students of Romana Kryzanowska, The Pilates Method of Physical and Mental Conditioning, in 1980 and in it they outlined six "principles of Pilates". 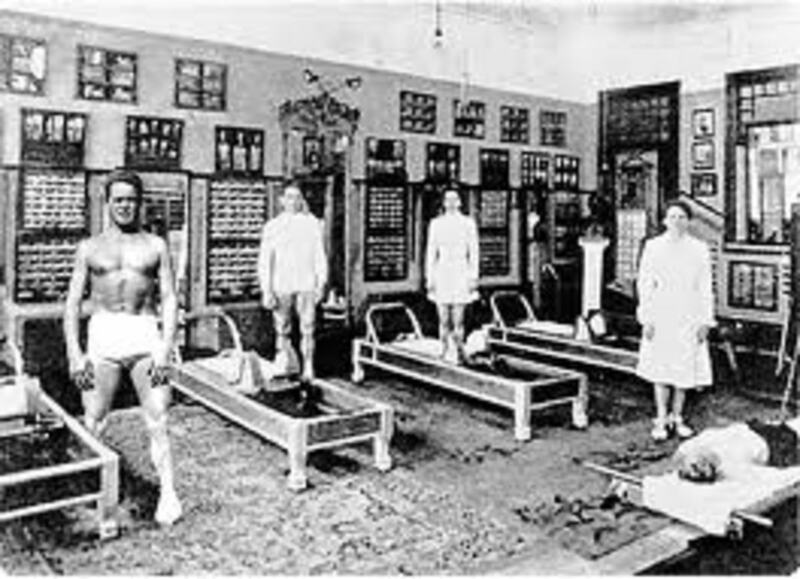 Joseph Hubertus Pilates (December 9,1883 – October 9, 1967) invented and promoted the Pilates method of physical fitness. He hated his new name of Pilates because it was commonly taunted as Pilate, "killer of Christ"
He immigrated to the United States from his native country of Germany because he was saddened by the social and political state of his homeland. Hannah Gallagher, Schilling's Pilates instructor, says, "He's a man. He's used to hard-core workouts, where you throw up afterward. Pilates is not that. It is an equal balance of stretch and strength." Asanas are widely known as "Yoga postures" or "Yoga positions". 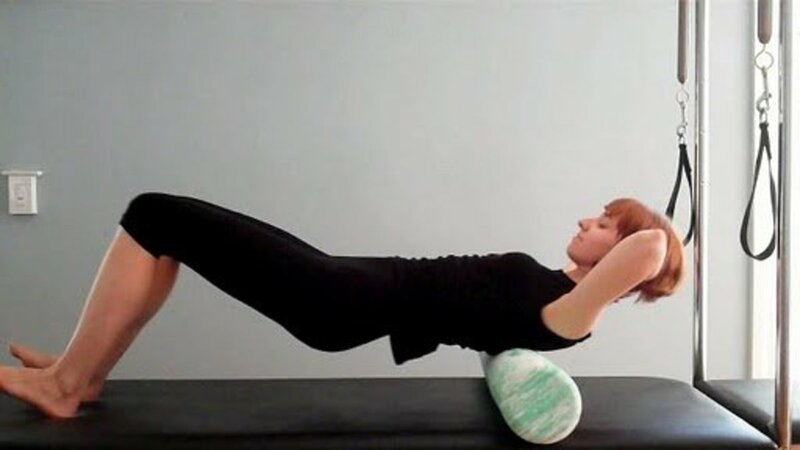 On occasion, you might hear this term in regards to Pilates and they simply are referring to the position of the body for the exercise movements. The Pilates Method teaches you to be in control of your body and not at its mercy". One of the main principals of Pilates is the equal importance given to lengthening the muscle through stretching as much as adding muscle. Controlling the muscle is a mindset, lengthening the muscle is accomplished through stretching. It is interesting to remember that Joseph was the son of a world renown gymnast. His father essentially taught him the fluidity of the movements and how the muscles support the exertion of the gymnast. Joseph Pilates went on to be become a professional boxer whose profession was dependent upon engaging the core muscles with force. The chamber ling techniques of a boxer can be readily understood if we look at the explosive movements of the gymnast. Pilates is not limited to just floor mat exercises. It also offers the Pilates Reformer and the flex bands. The flex bands are an economical way to add resistance to your many fitness movements. With the flex bands you can stretch and strengthen your muscles. Simply add to the fitness movement for greater range of movement and/or resistance. Pulleys and springs enhance the resistance of the many Pilates movements with a machine called the Reformer. So the question becomes which Pilates is better - the mat exercises using just the body weight or the reformer exercises that add resistance via pulleys and springs? Sadly, the reformer is rather intimidating. Even sadder yet is the lack of classes for the Pilates Reformer. When I lived in Green Bay I was fortunate to belong to a club that had three Pilates Reformers. Yet the number of classes with the reformer were nominal and the mat classes for Pilates were scheduled regularly. It is said that mat Pilates is better for beginners. I would say in a general sense this may be true, however, from my experience as a certified personal trainer, the best type of Pilates really depends upon the performance level of the client. Some beginners are physical fit and the Pilates Reformer will offer an exciting exercise routine. If a beginner is someone who has followed the exercise regime of cardio and strength, the best possible exercise program might be the Pilates Reformer. Starting slow is not for everyone - even beginners demand a heightened challenge. To this end, take a close look at the exercise posters and charts that showcase the many different exercise movements Pilates provides. Some have stated the Pilates Reformer is the new fitness craze. However, if you look at the history and see the machines Joseph Pilates kept in his studio, his invention was started in his early years. This is not a "new" craze, perhaps a revitalized craze or one gaining further notoriety. Whatever the case, the fact remains Joseph Pilates Contrology remains an enduring fitness program loved by millions from around the world. Statistics Show: Pilates Keeps on Growing - A few other stats revealed in the IBSWorld report - Pilates and yoga industry employs 103,033 people, 23,912 businesses and is a 7 billion dollar business. Enjoy this website? Not a member yet? Membership is FREE! What are the Fundamental Principles of Strength Training? 5 Pilates Benefits & 2 Pilates LIES! Pilates is very popular among exercise enthusiasts but most importantly it is an exercise program suitable for everyone. I wish everyone had training or at least exposure to a Pilates poster to guide them. The exercises are generally low impact and yet very effective. I used to do 2 minutes every morning - a tiny amount of time but an amazing investment in my body. I will have to return to my daily routine. I have heard about Pilates before, thanks for all the these information along with the images. I feel so many people in the gym both newbies and old timers simply don't know they are 1.) working inefficiently and 2.) running a risk of hurting themselves. The posters can showcase the right way but start the conversation for the wrong way. I would love to see more instructional posters that showcase the wrong way - if we were to see it done wrong perhaps the clients would start asking about their proper posture and form. My water fitness clients were so hesitant to go to the weight room, showing them just a couple of minutes of body weight exercises targeting their problem areas prompted them to change their routine. While I love swim fitness, I would like to see a cross promotion - swim fitness in the weight room and weight lifting / target toning / balance ball in the swimming pool. We should be cross promoting and encouraging greater fitness diversification. I learned so much about Joseph Pilates. 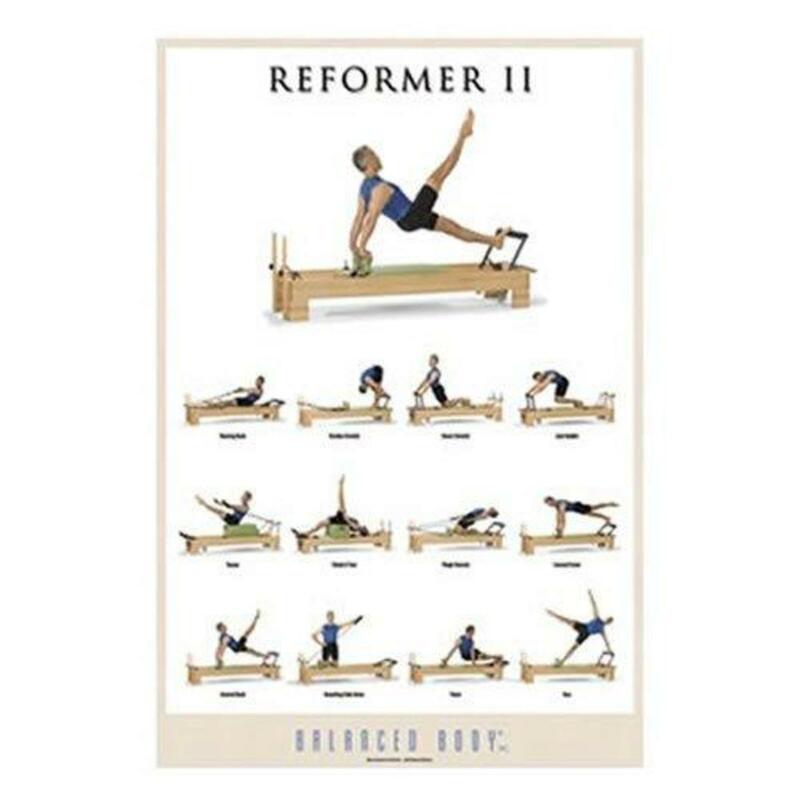 I also didn't know the reformer has been around for decades let alone the fact that Joseph holds numerous patents. Fascinating individual with a biography that all of us can learn from. I've read your few hubs and found them with useful Info about fitness. The most important to me as a personal trainer; a newbie in gym should be follow the experts says and should to proper exercise. I see few people those are got problem by doing exercise with proper instruction and their bodies are now totally unshaped. The history is fascinating. I never knew he had so many patents. Also, I did not realize how inventive this form of exercise was for the time. We take so many things for granted. I believe if we understand history a little bit more, we have a better appreciation for today and are able to manage today's opportunities better. 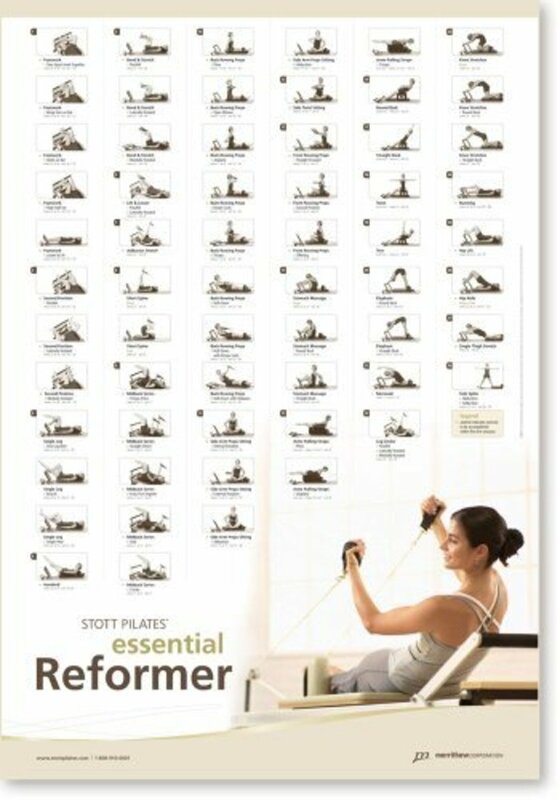 I am planning on adding some exercise posters to my little home gym and the Pilates ones are tops on my list. I love the methodology he invented and wish to learn more in addition to incorporating these exercises in my fitness routine. I just wish the health clubs had more exercise posters. Also, I would love to see exercise posters in the schools. I do yoga faithfully, and do free weights, but I'd like to incorporate pilates into my fitness routine. The posters seem like a great idea to provide guidance. I enjoyed reading about the history of pilates - never knew who started it.